The UER remains unchanged at last month's 3.8%. The short EMA remains below its long EMA, the blue and red graphs, respectively, and the spread widened to minus 0.08%, last month's minus 0.04%. UERg had formed a trough in 2015, peaked at minus 4.4% end 2016 and declined to minus 14.1% beginning 2018. Subsequently rising and now at minus 2.17%, last month's minus 4.25% - the green graph. 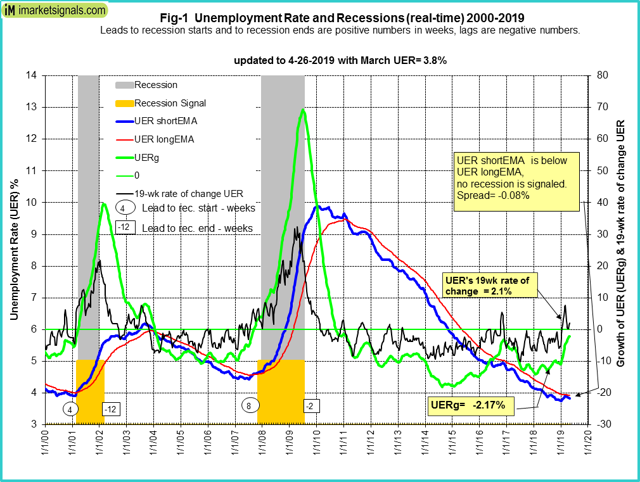 Also, the 19-week rate of change of the UER is now at plus 2.7%, last month plus 0.06%, far from the critical level of plus 8% - the black graph. The short exponential moving average (EMA) of the unemployment rate rises and crosses the long EMA to the upside, and the difference between the two EMAs is at least 0.07. 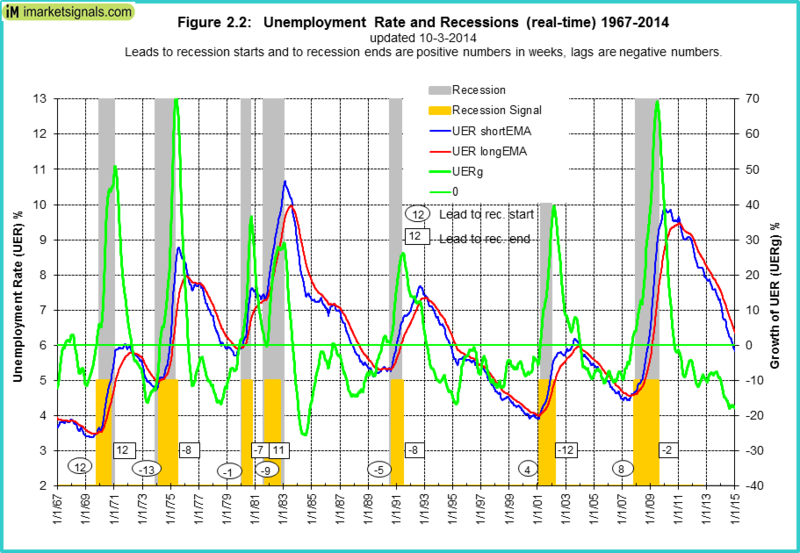 The unemployment growth rate rises above zero while the long EMA of the unemployment rate has a positive slope and the difference between the long EMA at that time and the long EMA 10 weeks before is greater than 0.025. 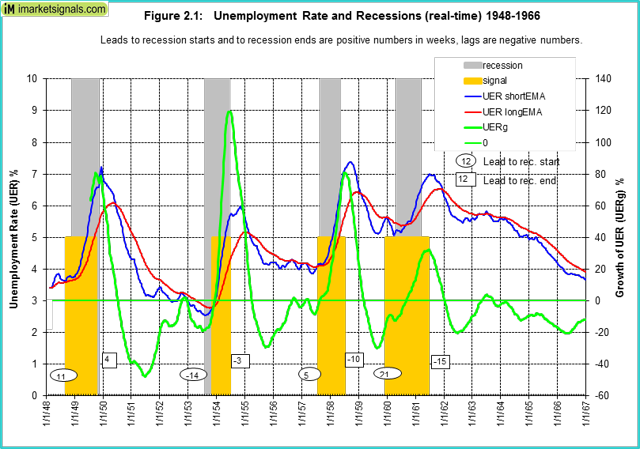 The 19-week rate of change of the UER is greater than 8.0% while simultaneously the long EMA of the UER has a positive slope, and the difference between the long EMA at the time and the long EMA 10 weeks earlier is greater than 0.015.